This entry was posted in Prairie Insects, Prairie Natural History, Prairie Photography and tagged ants, formica, formica obscuriventris, grassland, james trager, mound building ants, nebraska, platte river prairies, prairie by Chris Helzer. Bookmark the permalink. When will it be when the Raspberry Crazy ants make up there? They are confined to Texas now, but invasive species move very rapidly. What good thing about the Raspberry Crazy ants is, that they eat the invasive fire ants. But they also feed on the chicks of the endangered Attwater prairie chicken too. The “Rasberry Crazy Ant” is named after Tom Rasberry who discovered them in Texas and they otherwise have nothing to do with Raspberries. 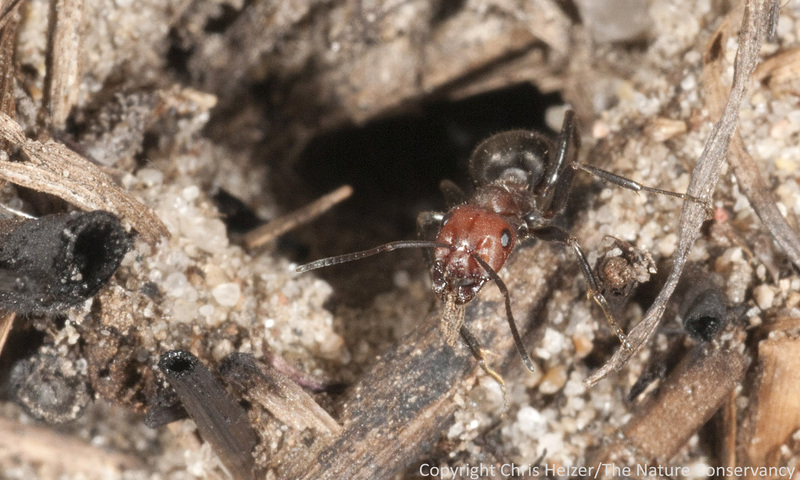 Not that this matters at all, as the species already had a common name when they invaded Florida and along the Gulf Coast as the “Crazy Ant” Nylanderia fulva. They’ve only been in Texas for 10 years, and potentially have been in Florida sometime over the last 50 years (thanks to confusion with Nylanderia pubens). Their distribution thus far seems to be broadly coastal and restricted to the Tropics and Sub-Tropicals. Where I work we have some red-in-front ants that are slave-takers. Do you know if this one is? Do you know how many of your present and missing ant species are parasites. Some people have speculated (demonstrated?) that healthy populations of parasites and diseases are important components of diverse natural ecosystems. Stephen – those are excellent questions. I’m going to encourage James to answer them!! F. obscuriventris is a temporary social parasite, its colony-founding queens requiring a (probably always small) colony of another Formica species to rear their first brood. But this species does not continue to cohabit with a worker force of the host, as do the “slave-maker” species, which by the way, are preferably referred to as cleptergic (work-parasite) ants. It is encouraging to see a parasitic ant species established in a restoration. There is one cleptergic species on Chris’s list already, namely F. pergandei, living with a worker force composed of F. subsericea & F. montana, also from a restoration. By the way, my sampling at the FermiLab, in your part of the world, Steve, reveals that at least two parasitic species of Formica and a Polyergus species occur in the prairie restorations there. From the picture of the mound I would have guess the genus correctly, but that is the extent of my knowledge. 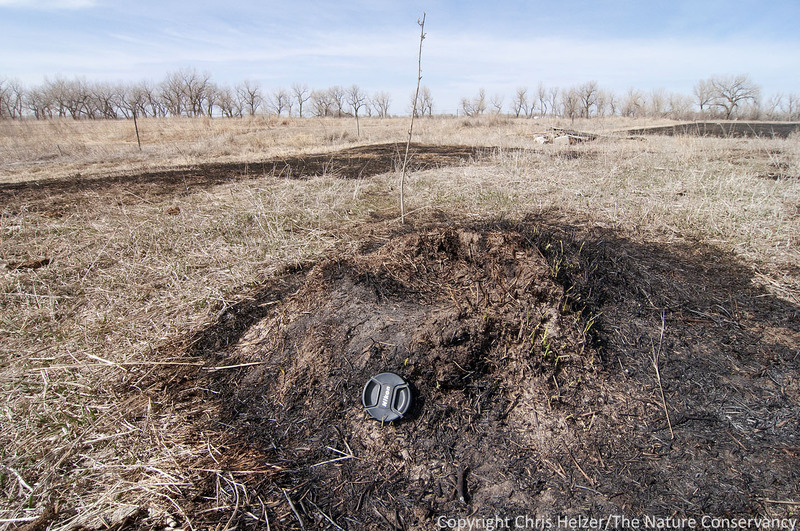 I love looking at all the ant mounds after a burn, especially to see them get more numerous over time in planted prairies. Maybe it is a false impression, but I tend to think we are making progress when more mounds continue to show up. We have the great big mound builders in our area, Allegheny mound ants. We have a lot of mounds on our place northeast of Ainsworth on Bone Creek. I had no idea there were so many species. Now I want to find out which ones they are.